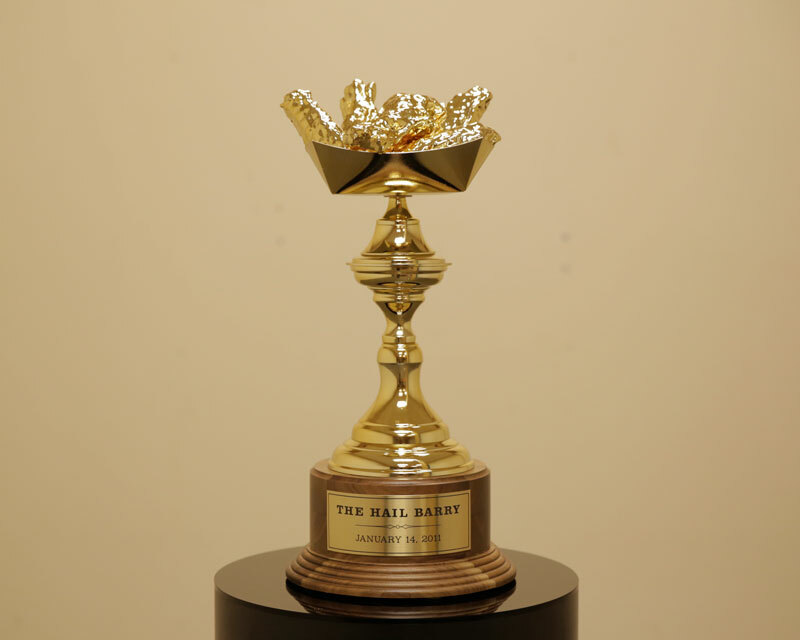 Where can you find a golden chicken wing trophy? Nowhere, but we can made one. For this client, we made gold plated chicken wings to adorn a special trophy. It was something we never did, but with a few experiments in plating 3D printed plastics, we got the perfect looking basket of gold plated chicken wings.